There are two different ways to get to the full Delivery Calendar. 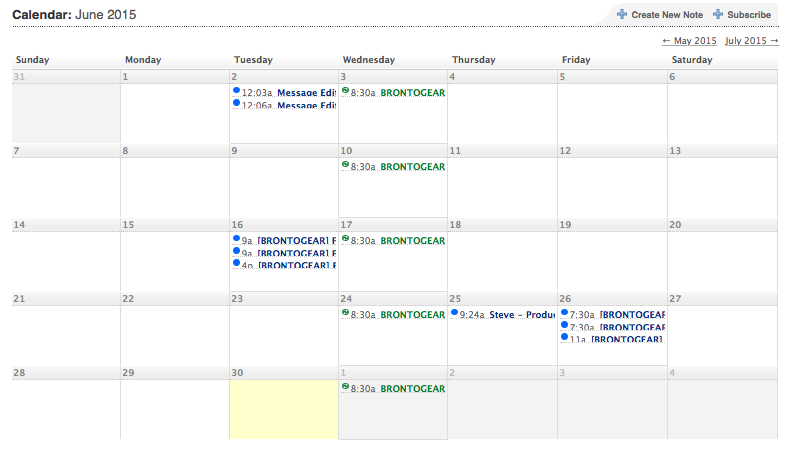 On the Home Dashboard, you will notice that there is a smaller version of the Delivery Calendar displayed. 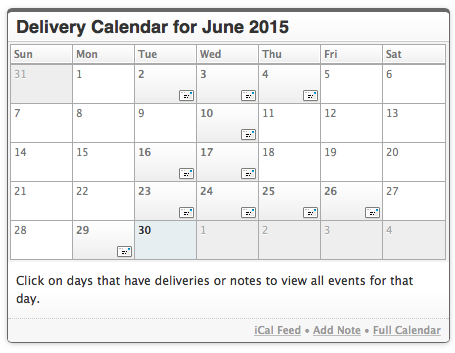 To get to the full versions of the Deliveries Calendar, click the Full Calendar link. Note: For days with a delivery scheduled, you can mouse over the date to see more information about the deliveries scheduled for that day. If you click on the name of a delivery, you will be taken to the Message Overview page for that delivery. From the Messages Dashboard, you can click the Calendar link on the right side of the page to view the full Delivery Calendar.